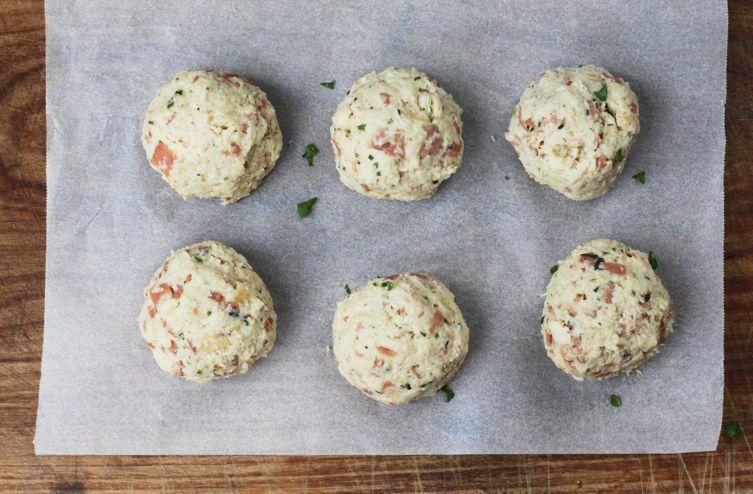 Today: Hearty and humble bread dumplings with speck. 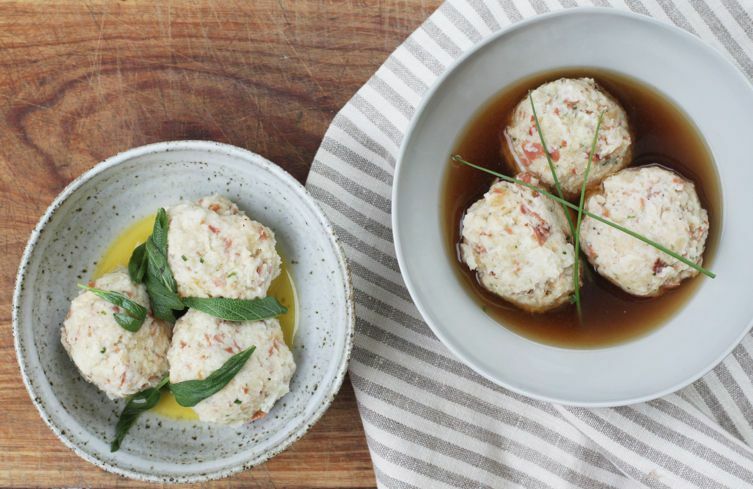 Canederli, also known as knödel, are a favorite winter comfort food from Italy's northeastern corner -- where many culinary traditions are shared with its northern neighbor, Austria. 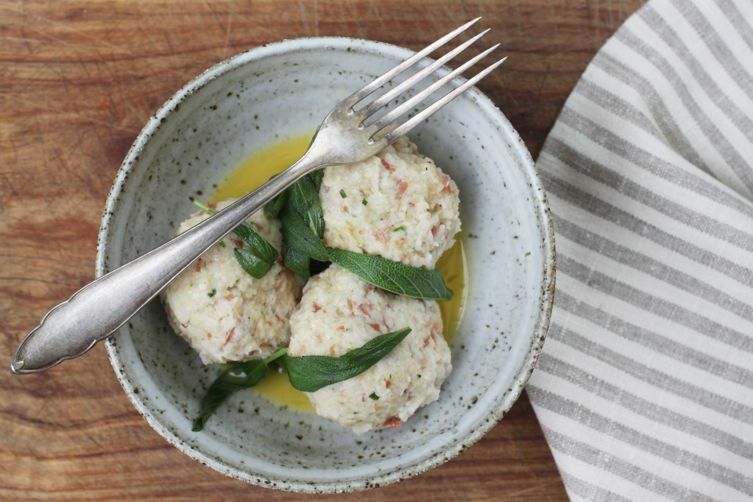 While similar dumplings are made from Germany to Slovakia, in Italy these traditional bread dumplings are found only in the northeastern regions of Trentino Alto-Adige, Friuli, and the Veneto -- but are particularly well-known as a Trentino dish. Sometimes thought of as a (more substantial) cousin to gnocchi, canederli are made of cubes of stale bread held together with milk and eggs. They're usually flavored rather simply with cheese or speck: a firm, slightly smoked, dry-cured ham made from pork thighs and thinly sliced, similar to prosciutto. Boiled and served in homemade meat broth or in a butter sauce, canederli are a masterful way of using up old bread and the leftover ends of ham and cheese -- the mark of an ancient peasant recipe. Many Italian cooks have their own way of making them, with various methods for soaking the bread and making sure the resulting dumplings aren't too hard or too delicate. Important in all cases is not to use too much flour, which can result in tough canederli that you can bounce off the walls. Better yet, avoid flour all together, if you can. Some use warm milk to soak the bread -- and Carol Field, in her cookbook The Italian Baker, places her bread in milk first and allows it to stand for an hour before mixing with the other ingredients. The aim is to moisten the bread evenly without having too much excess liquid. Once you have your mixture ready, test a small ball in the boiling water or stock to see if it keeps its shape. 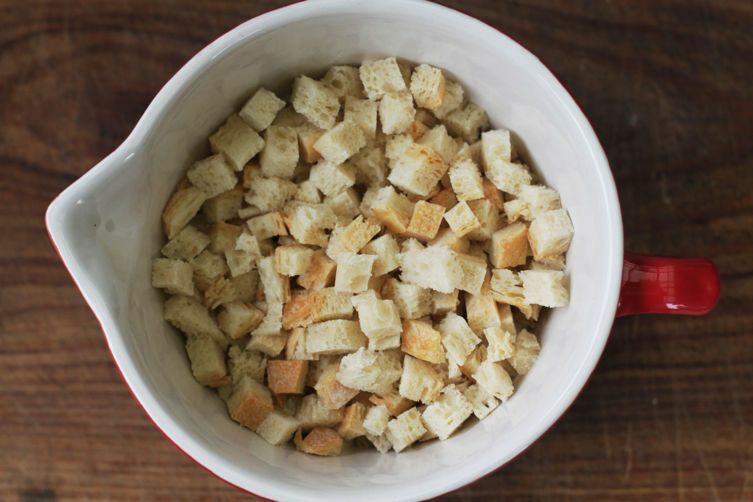 If it doesn't and it falls apart, you may need to incorporate some flour -- try not to add more than 2 tablespoons. Slightly bigger than a golf ball, these dumplings are hearty and heavy -- you only need two per head if serving as an entree. If you can't find speck, you could substitute prosciutto or pancetta. You can also try using some aromatics like freshly grated nutmeg or lemon rind. Stop saying that its some wonderful cultural exchange going on. Südtirol isn't Italian, and any Italian-ness was forced on them by the fascist regime. The people there are AUSTRIAN, not Italian. Thats NOT Italian food. Italy has plenty, don't steal from us. At least MENTION the fact that the people in that region aren't Italian. I love canederli! I love to sneak in a cube of cheese to have a melting heart when opening the canederli with a fork!